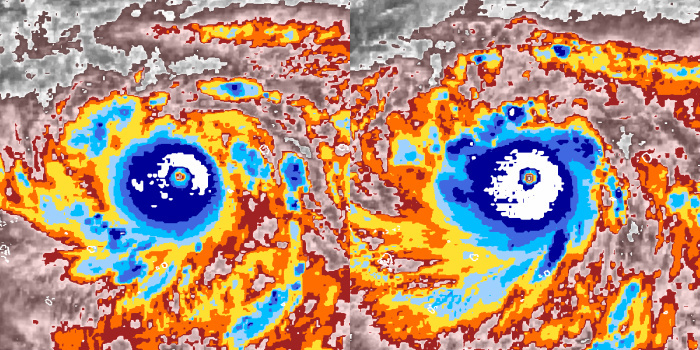 Super Typhoon Gay devastated several Pacific islands in the second half of November 1992, and these Cyclone Center images of its eye forming are impressive depictions of just how strong this storm got! The strength comes from several factors: the frigid clouds (shown in white, the coldest color on these images), the storm’s symmetry, the tight wind, and the multiple tails showing strong outflow/inflow. Join the Cyclone Center project today to help classify more impressive storms! Next Next post: Snapshot Serengeti is Back!